I’m trying something a little different with my grad class this year. We have a really big cohort and we’ve bumped our course caps up to 15 and that’s what I have and it’s a lot. A lot of grading and name-remembering, maybe, but also–what an opportunity!–a lot of brain power in the room. I’m trying to turn big enrolment into a feature, not a bug. I’m experimented with, if you will, a kind of parallel processing or distributed cognition at the very foundation of the course, right up to the top. I’m making the students do the bulk of the work–designing the syllabus, choosing the readings, teaching–and pedagogically, I think it’s the right thing to do. Here’s what I’m trying. The course is on selfies, which is the book I’m deep in writing right now. So I know the crap out of all of this. I could teach this in my sleep–but I don’t want to teach in my sleep. Instead, I am making the students create the course as we go. They’re not experts on this material, and this is the best way I can think of to make them so. On the first day I made some handouts with different options on it, and had them discuss and debate, in pairs, then fours, the half the room, then all together until we had reached a consensus on whether we would run the course like a survey, or as case studies–we had to really think it through, not just what, but why. They decided case studies and then we had to debate to consensus on which three of five possible cases we wanted to focus on. My job then was to create a frame for the rest of the semester, to distribute the work and attention. The next two weeks were foundations in theory and method, ideas that are going to be our North Star for the rest of the term, where I assigned the material and organized the classes. I also created five groups, and for each case study (lasting either two or three weeks of class) assigned groups to specific tasks related to the very methodologies I use to produce these cases in my research: finding and sharing context from secondary literature, intensive browsing across possible primary texts, picking representative or exemplary texts for analysis, producing a persuasive interpretation / argument, and linking the case to the broader work of the course. Starting next week, it’s the students who are going to have to figure out what we’re going to read, what theory is going to be relevant, which hashtags or instagram accounts are most useful to consider, what it all means. Already they’re asking great questions: who are the major theorists of art photography? Or, I know how to find primary materials for fine art photography, but how do I find and decide what vernacular photography to use? Yeah, those are basic research questions. I already know the answers but the goal of the course is not really for me to perform my own scholarly excellence–it’s for students to develop their own skills and excellence. I’ve been thinking a lot about what grad students need from their courses. I think they need a lot more skills training, in the basic skills of the degree and the profession. I did a bit last night on how to read like a researcher, and how to create a lesson plan. Someone came up to me afterwards to tell me, excitedly, how that was most important bit about class. I’m teaching them how to start from literally nothing: “this is a course about selfies, and we are grounding in auto/biography studies, surface reading, new media studies, and photography studies” and figure out how to say something valuable and humane about why some images get banned from Facebook and some don’t. This is a skill that PhD students really need if they’re going to write dissertations. This is a skill that MA students need if they want to join a professional workforce and move beyond the entry level. Self-efficacy develops when we are presented with malformed problems and have to figure out how to bring some order to that chaos. They’re learning about how to find the important works on a topic they start off with very little knowledge on. They’re learning how to read a ton of primary material fast, looking for patterns. They’re learning how to link these patterns to broader cultural and theoretical contexts. And they’re learning how to frame all that work to be useful to all of us in a classroom setting. I expect I’m going to have a LOT of meetings with students about this. That’s exciting: working one on one, or group on one, with students who have urgent and concrete scholarly problems they’re trying to solve, that have real stakes. So far, I’m loving the results. Next week is when the plan fully launches. It might be a little bumpy until we all figure it out, but I am really looking forward to seeing how we all grow. In a fit of post-admin-role freedom, I booked myself to go to sleep away camp halfway through Orientation Two Days. I flew away to Halifax, on points, to join my friend Megan for four days at Big Cove Camp, the oldest such camp in Canada. The camp was called Make. Do. Camp. And they took away our phones. It was a transformative experience. I remember camp as a child: sing-alongs, campfires, hikes, group activities. I remember feeling … nervous, disconnected, not-quite-right, not-quite-fit. I did not feel, as it were, hailed (in the Althusserian sense) by camp: everyone seemed social and outgoing, everyone was chipper and enthusiastic, everyone had lots of friends and no inner turmoil. There were things I loved about camp: being outside, swimming, the rhythm of the days tied to cycles of daylight, and so that’s why I went, and only with a friend–we’d have each other at least, even if there were cliques and we didn’t fit in any of them. But here’s the thing. I have never felt so connected to a group of strangers in my life. Never so safe, never so seen and supported. Part of it was getting rid of the phones and the safety line they provided, but much of it was due to incredibly thoughtful facilitation, and there’s something to learn from this that I can bring back to my teaching. From the opening ceremony forward, camp facilitators, directors, leaders, and minders opened up spaces of difference and welcome. They invited us to come in, in all of our differences, a huge list of identities and feelings and orientations and histories. We could be a group, they suggested, while remaining in substantial ways complicatedly different from one another. This was magic to hear. I felt named and seen and as a result could not retreat to my usual space of meteoritical, ironic, abstract distance. They hailed me: nervous, skeptical, hopeful, tired. The welcome, in seeking to name all the ways we could arrive in the space in all our differences, took a really long time, as they sought to acknowledge and celebrate these differences. And we all sat there, rapt: we had been seen and noticed and named and welcomed. It is amazing how a sense of group feeling can develop from a 15 minute recitation of all the ways we are different from one another. Instead of jostling for space or recognition or feeling excluded, we become more free to find a strand of connection. I’ve been thinking, as a result, of how I welcome my classes to the term. What totalizing assumptions do I make about them that might limit or exclude them, that might lead to ironizing, to checking out, to hurt feelings or disconnection? How can I welcome and celebrate everyone’s differences so that they feel hailed into our shared project? I have been trying to start the term by inviting personal communication from students, creative work that situates them in their own contexts, on their own terms. Then I summarize for the class all the different kinds of difference we see, and how wonderful it is, and how little we can know about one another just from looking at a list of names, and majors, and year level. I think I could do more, I’m wondering how. But the kinds of work that people can do when they feel seen, heard, understood, and recognized is incredible, and I want more of that possibility in my own teaching. Feeling anxious? Try safe mode! I’d like to break my silence on this thing to introduce you to a small productivity concept that has resonated strongly with me. Do you sometimes wake up feeling anxious? Depressed? Rundown, disoriented, and nondirectional? Do you poop out of parties? Or, did you have a little too much fun last night, and can’t afford to take the day off? Feeling overwhelmed about all your myriad projects, big & small? Why not try putting yourself into what my good friend Allison calls “safe mode”? “Safe mode” is a diagnostic state in computer operating systems in which the computer runs tasks and completes operations at a slower, less efficient rate. This is because something is wrong with the system and it cannot fully function, so it runs basic functionality including only the essentials until the larger problem is addressed. It is perhaps akin to low battery mode on iPhone, when background refresh, automatic downloads, and certain visual effects are deactivated. You can still text, check apps, make calls–but nothing fancy, important, or overly taxing. When I wake up feeling anxious or otherwise, I go into safe mode. I make a list of small, easily executed tasks that perhaps I have been putting off. 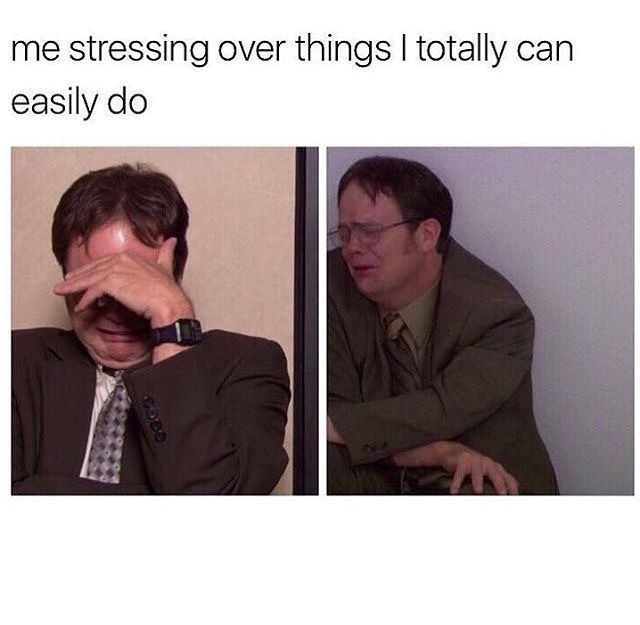 Emails, stray response papers that need grading, an online training course I’ve been avoiding, scanning PDFs for my class, updating the format of my CV, setting up Grade Center on Blackboard, ordering books for next semester. (Did I mention emails?) Nothing that involves too much active energy or engagement, nothing that deals in high stakes. These are arranged in a sequential order such that the small feat of completing one task enables you to pass onto the next one – like passing on to the next level in a video game. I prioritize things that will make me feel better about myself, reinforce my competency, and translate the nebulous work of much of academia into itemized tangibles–or, dare I use the language of assessment, deliverables. I end the day with a sense of satisfaction that I honored my need for some distance from my major, stress-inducing responsibilities, while having crossed a number of items off a list, clearing space for greater focus once I feel well enough to reenter normal mode. Leave the big tasks for a different day, when your desk is free of the small stuff. Try safe mode! It acts not only as a symptom of anxiety, but also serves as an antidote, for the accumulated little things can contribute to overwhelm in ways that we might not even recognize. Safe mode is sometimes useful to switch on even when you aren’t feeling anxious or overwhelmed, because it is so easy to let the small things pile up, and before you know it you’ve missed a deadline or disappointed a friend or colleague. I guess in that instance, you might be in safe mode and you don’t even know it, sloughing off on the tasks that don’t present themselves to you as immediately pressing. But at any rate, you might want to try blocking out a section of time on your calendar for safe mode tasks. With safe mode, you can spoon your way to better mental health! My campus has suffered two suicides this term alone, in the very same student residence. This is a tragedy, twice over, and beyond measure. I’m working on this post watching over my 38 first year students as they quietly read and edit one another’s research papers. It could have been any one of them. Indeed this student was a colleague to many of my own. I cannot bear that. We can none of us bear this. Something has got to change. All of us can do something, and it feels really urgent to me that we start right now. First this: first year university is incredibly hard. It’s lonely, it can be very isolating, our egos take substantial hits from the massive change in pedagogy and expectation and cohort. Early adulthood is massively challenging as we figure out who we are. New romantic and sexual relationships. Breakups. Difficulties functioning in the much less structured university environment. Imposter syndrome. Regrets. A discovery of our own intellectual limits. There’s nothing easy about any of this, and it is abundantly clear that students aren’t getting what they need as they transition to adulthood, to independence, to university study, to changing ideas of who they are and what they want and what their capacities are. My school is known for the incredibly competitive nature of some of its most famous programs of study, and that only increases the pressure on those lucky enough to get in. Mental health, mental illness, and suicidality are serious ongoing structural risks to university study. We need something more than ‘campus wellness days’ and a 1-in-5 that only has happy people in the video. We need more than working groups and statements of support. We need concrete counseling supports diffused across campus, and in the residences. We need training for staff in spotting and supporting students in crisis. We need faculty training in how to design curriculum and pedagogy that is less structurally likely to push people over the edge. We need programs that work to ensure that all students are supported toward graduation, rather than celebrating toughness by measuring drop out rates. We need universities that don’t, structurally, haze students with sink-or-swim social, institutional, or academic models. The brother of the student who committed suicide this week posted a heartfelt plea to Reddit this week, full of despair and sadness and anger. The thread extends for pages, an honest and brutal conversation that we are just not seeing anywhere else on campus. Have I received official notification of this? I have not. I teach first year students in the same program. I found out from reddit. Unacceptable. That’s several days of Daily Bulletins with nothing. No memos. Nothing. For shame. The student newspaper has something, which I found after a colleague posted the Reddit thread on Facebook. The Reddit post shows a grieving teenager adrift, but reaching out. We need to reach back. We need to extend our collective arms to support all our students. So many more of them are struggling than we are willing to acknowledge. We need to acknowledge the loss. To work towards mitigating the conditions that led us here. To do better. We can get through this together: suicide is preventable; suicidality is often momentary, but in that moment it can be fatal. Let’s get through those moments, together. A few months ago, a mentor offered me the chance to speak with three established scholars about Bob Dylan’s recently awarded Nobel Prize in Literature at a small gathering in New York. Instantly, my stomach began to turn. Beyond basic pop culture exposure (hello, “Soy Bomb”), I didn’t know much about Dylan. I don’t study the great American songbook, lyric poetry, or contemporary artists. There was too much room for error and there were too many gaps in my knowledge. It felt like a no in my bones. Instead, I said yes. After stalling for a few days, I came clean about my reservations with my mentor and asked for his guidance to make the right decision. He told me that in his experience there are two types of academics, “the ones who say, ‘I don’t know, I don’t think I can do that…’ and the ones who say, ‘Sure, why not, let’s give it a try.’ I have many friends who are the former, but the ones who are most successful are the latter.” After that email, I had no choice but to put my nerves on hold. My initial anxieties were just that. During the talk, it became clear that the audience members, many of whom were scholars, weren’t Dylan experts (just like me). These were members of The New York Society for General Semantics, people who get together over wine and cheese every so often to discuss and learn more about the contingency and formation of meaning, symbols, and knowledge. Dylan fans, seasoned academic professionals, and a smattering of undergraduate and graduate students filled around 25-30 seats. I invited my father, who dutifully sat in the front row. I realized that my role was to give this diverse group something to riff off of—throw out some new notes that might harmonize with their own memories and knowledge of Dylan and literature. Dylan’s win, and his initial silence after the announcement, had created definitive buzz, especially since he is the first American songwriter to take the prize (which includes $900,000). The New York Times said that the selection “redefin[ed] the boundaries of literature,” while others sounded off angrily on Twitter. There was plenty of debate already circulating for music lovers and literary scholars alike, so, to prepare for the evening, I reflected on the questions provided on the event flyer and decided which one’s I could speak to confidently. I started with “What is the literary value of Dylan’s lyrics?” and drew on my knowledge of the history of literary criticism to give an overview of different ways that artists and critics have determined what makes poetry worthwhile. After a few weeks of listening to Dylan during my commute, I picked out what I felt were his most compelling and challenging lines. To answer the question “What is the meaning and significance of the Nobel Prize?” I thought back to conversations in my survey courses regarding the politics of canonization and reviewed trends in the Nobel’s literature award, briefly scanning past selections. I came up with some reasons why I thought Dylan deserved it, but also reflected on the fact that most of my generation would be more familiar with the Beatles rather than Dylan’s songbook. I was honest with myself about my limited knowledge, which pushed me to uncover interesting research finds and make connections between Dylan and all of the things I do know about literature and literary criticism. Being honest with my audience about my “outsider” perspective made the environment more welcoming and inclusive. No one batted an eye when I flubbed the title of Dylan’s ode to Johanna or read from a prepared cheat sheet of lyrics. They didn’t care if all the notes were right, only that there was talk about music filling the room. I kept my preparation time under control, and in the end, I had fun. That night reinvigorated my enthusiasm and appreciation for what I do every day, largely because so many people appreciated my willingness to join in a conversation with them. I also have a wider net of contacts in a supportive intellectual community that I can reach out to. Graduate students (and particularly women) have been taught a repertoire of maxims to live by so that they can navigate a long and often arduous road to degree: Practice self-care; you can’t always say yes; know your limits. From completing a dissertation, to teaching our students, to braving the job market, and caring for our friends and families, we are also taking on additional tasks that can complicate an already overburdened schedule, often without compensation or the promise of professional rewards attached. We are, for example, writing recommendation letters, volunteering for committees and organizations, attending students’ games and concerts, dropping by department functions, applying to grants and conferences, and trying (repeatedly) to get published. If dissertation writing is the healthy regimen we are supposed to be sticking to, graduate school is an all-you-can-eat buffet of distraction. Learning to say no is important, and it can save you hours, semesters, and even years of putting your research on the back burner. In the past, I wouldn’t think twice about saying no to things that didn’t align with my current research project or specialization. It turns out that impostor syndrome is an effective way to free up our schedules, but doubting our own potential can also keep us from opportunities that stand to benefit and invigorate us more than the things we end up saying yes to with ease. For the sake of my sanity, my dissertation, and my students, I will, of course, continue to say no. But for the sake of my outlook on academia and my career, I have a new perspective on when and why to say yes. Callie Gallo is a fourth-year PhD candidate in the Department of English at Fordham University. She worked in broadcast television for a number of years, and is much happier now just watching TV from the comfort of her couch. Her research focuses on new technologies and gender in nineteenth-century American literature, more specifically looking at how people talk about bodies at work in modern industries and economies. She is thinking about taking up karaoke again as a means of coping with the state of the universe and loves a good DIY project. Last winter, I took graduate level seminar Public Intellectuals in Canada: Their Essays, Talks, and with Dr. Joel Deshaye at Memorial University of Newfoundland and Labrador, and it got me all riled up. Why? Because manifestos harness imaginative power. Manifestos intervene. Manifestos are excessive. Manifestos are relentless. Manifestos interrupt. Manifestos persuade. At their core, manifestos are public declarations, often pushing political, social or artistic motion. While elitism is defined as a select part of a group that is superior to rest in terms of ability or qualities, to truly be successful as a Canadian Public Intellectual one needs to speak to an audience, and appeal to a broad range of voices. One voice can’t speak for the whole, but many voices can create a chorus. A manifesto is a critical poetic choir of sorts. As a poet and journalist, I’ve written several manifestos. In my opinion, the manifesto acts as a conversation between private and public thought. In my tenure as Canadian Women In Literary Arts critic-in-residence, I wrote “An Incomplete Manifestofor Canadian Women In Literary Arts,” in 2014, though it wasn’t the first time I was drawn to the manifesto as a genre. I’ve also written a “Modern Day Riot Grrrl Manifesta,” in 2011 for International Girl Gang Underground zine, and “A Fragmented Manifesto,” for GULCH: An Assemblage of Poetry and Prose published in 2009. I am drawn to manifestos. They exist somewhere between poetry and criticism. Shannon Webb-Campbellis a Mi’kmaq poet, writer, and critic. Still No Word (Breakwater, 2015), recipient of Egale Canada’s Out In Print Award, is her first collection of poems. She was Canadian Women In Literary Arts critic-in-residence 2014, and is a board member. 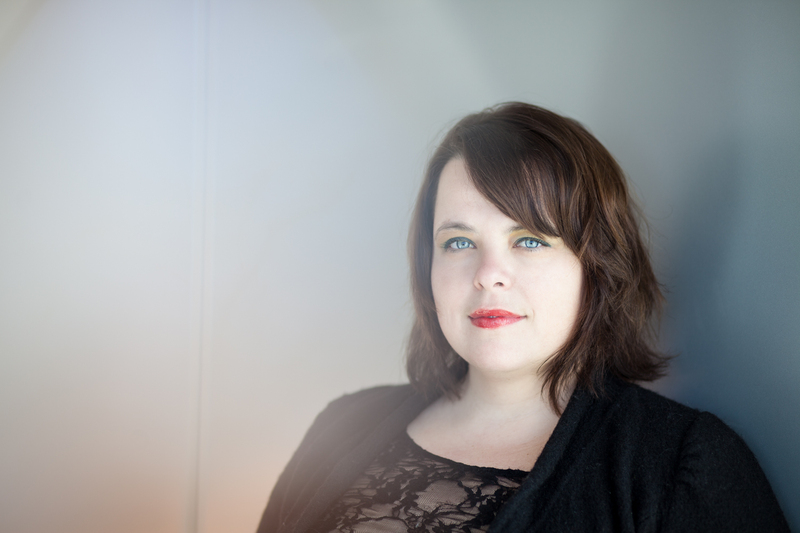 Shannon holds a MFA in Creative Writing from University of British Columbia, a BA from Dalhousie University, and currently studies and teaches English Literature at Memorial University. Her work is anthologized in IMPACT: Colonialism in Canada (Manitoba First Nation Education Resource, 2017), Where the Nights Are Twice As Long: Love Letters of Canadian Poets (Goose Lane, 2015), This Place A Stranger: Canadian Women Travelling Alone (Caitlin Press, 2015), and others. She curated “Screening the Offshore” at The Rooms Provincial Museum, Art Gallery and Archives, and worked as a curatorial assistant at Eastern Edge Gallery. Shannon is poetry editor at Plenitude Magazine. Her play Neither Love Letters Nor Moonlight, premieres at the Arts and Culture Centre in St. John’s, Newfoundland February 2017. She is a member of Qalipu Mi’kmaq First Nation.